TFD » Blog » Posts tagged "wedding buttonholes"
Wearing flowers in our hair is wonderful way to celebrate summer and create a whimsical, fairy tale look. From a single bloom to a full Frida Kahlo-esque flower crown, there are myriad ways to create a floral look to suit any occasion. Creating a DIY look is perfect to fit with a wedding flowers budget, and as well as floral hair designs, wedding buttonholes and corsages can be created (with a little help from a London florist if needed). Of course, these delightful floral looks don’t just have to be for weddings: whether it’s a music festival, birthday party or a glamorous picnic with friends, take inspiration from these simple ways to create stunning floral accessories. Though there are lots of flower garland crowns to be found in the shops at the moment, nothing beats creating your own boho look using real flowers. A perfect look for a summer festivals and great wedding flower ideas. Cut three pieces of twine of equal length, tie a knot at one end and plait them together into a braid. This then needs to be wound round the head to get the correct size, and then glued at the ends. Then wind in real or faux flowers and voila: a gorgeous hippy garland for summer events! Flowers we recommend: daisies, miniature roses, hydrangea florets – even a flower crown made simply of baby’s breath will look beautiful. Floral wire may be needed to fix the flowers in place. For a more constructed look that allows for greater choice of flowers, opt for a flower crown. These make great wedding flowers for a boho bride and bridesmaids, and are easy to pull together. It also means the look can be customised with the bride’s favourite flowers and to fit with the colour scheme and wedding decorations. They’re also great for festivals and other fun summer events. Flower crowns work well with loose hair for an unstructured, boho look but can also be accentuated with an elegant up-do. For celebrity inspiration, look to celebrities like Alexa Chung, Lana del Ray, Keira Knightly and Katy Perry who are all fans of the flower crown look. To make a flower headpiece: instead of twine, as in the flower garland, floral wire is used to create the ‘crown’. Wind together two lengths of green floral wire and bend the ends to make ‘hooks’ that can then be linked together to seal the crown. Snip the chosen flower stems short and twist around fine silver floral wire that can then be twisted around the ground to fix in place. We recommend: roses, hydrangea florets, baby’s breath, ranunculus, dahlias and greenery. For a truly unusual alternative, consider making a crown of succulents and air plants which a veil can be affixed too- creating an ethereal, unique wedding flower look. Or a leaf crown could be made from olive leaves, fragrant herbs like rosemary or lavender, or ivy and pine – best suited to a winter look. 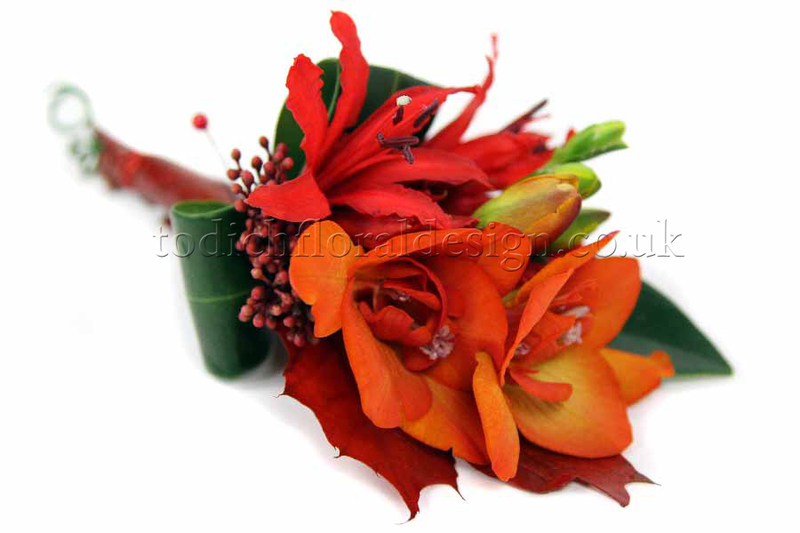 Flowers can also be added to ready-made hair accessories for beautiful event flower design looks. Wedding flower combs featuring roses and ivy or magenta orchids can be bought ready-made, or DIY versions are easy to put together and make lovely bridesmaids flowers. Ribbon or lace can be glued to the comb before flowers are added, or the flowers of choice can go straight onto the comb. 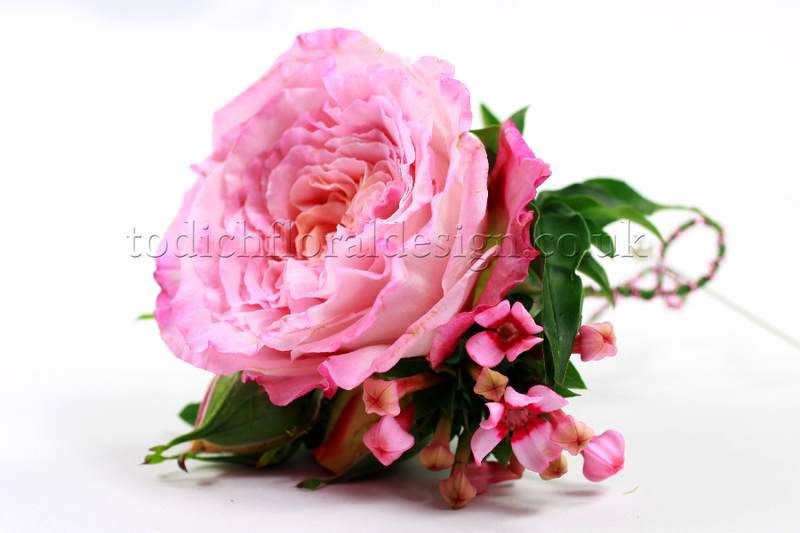 Either use faux flowers or fresh ones like roses, cornflowers, sweetpeas or sweetpeas. Add sprigs of greenery like ferns, eucalyptus or ivy. Get creative and delicate little extras like pearls, jewels and bows – though don’t go overboard! Subtly and simplicity is key to the look. Flowers can also added to headbands: such as white roses on a white headband for an elegant look, or more full and colourful flowers could be used as headbands make sturdy bases to get creative with. They can be glued straight onto the headband or affixed with floral wire, just as with a flower crown. Corsages are traditionally worn on the left shoulder or the wrist, but could also be worn at the waist, ankle or in the hair. Popularly worn by mothers and grandmothers of the bride and bridegroom, nowadays they can be worn by anyone the couple choose and even by the bride herself. A great wedding florist will be able to create the perfect corsages to match the event floral design theme and bridal flowers, such as yellow orchids and ivy or pink roses. How to make wedding buttonholes. Wedding buttonholes ideas. Alternatively, a DIY approach means corsages and buttonholes can be created by the happy couple and their family and friends. 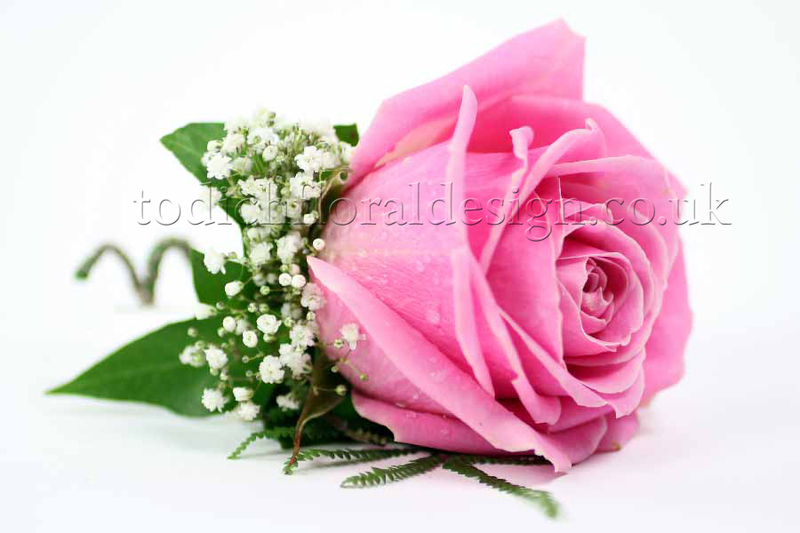 For smaller wrist corsage styles, the flowers of choice can be glued to a ribbon which is then tied round the wrist. Small, lightweight flowers suit this style. 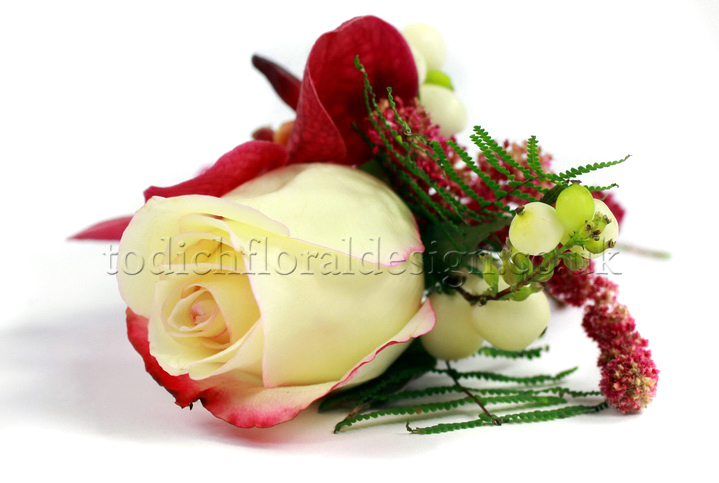 For a fuller corsage with heavier flowers like roses, orchids or peonies a sturdier base is needed. London flower shops will be able to provide floral bracelets, which are basically plastic snap bracelets. These can then be covered with fabric and the flowers and greenery of choice attached to the bracelet with floral wire. One focal point flower works well for this, surrounded by sprigs of greenery and smaller, more delicate blooms. Buttonholes are traditionally worn on the left lapel by the male wedding party and incorporates a flower or flowers from the bridal bouquet. These are very easy to create: just trim down the stem of the flower of choice, place on top of greenery (which could be leaves or fragrant herbs like rosemary) and fix together with florist tape. Finally, tie a ribbon around the arrangement to conceal the tape: this can then be affixed to the jacket with a pin. Popular choices for buttonhole flowers are roses, a traditional Scottish buttonhole would incorporate heather or a rose and thistle, or a more exotic choice would be calla lilies – elegant and beautiful blooms.